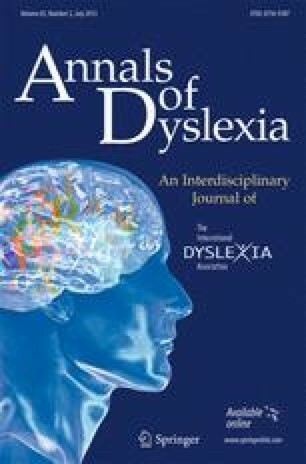 The effects of computer-presented automatization exercises in a group of 14 poor readers were assessed in comparison to a matched control group of 14 poor readers that received computer-presented exercises aimed at the use of context for word identification and comprehension. Training took place three sessions a week for 15 minutes per session and lasted about two months in each group. Results showed that the automatization or “speed” group progressed more than the context group in word and text reading efficiency, and the effect transferred to more complex word types than the CVC word type that was presented in the exercises. Both groups progressed to the same extent in accuracy, but the speed group made more progress in speed. No effects were found for reading comprehension. The findings make clear that computer-supported automatization exercises can be effective in reducing reading problems of poor readers in a short period of time. Implications for practice are discussed.